How did a 'loudmouth', a grand strategist and a quiet creative genius build one of the UK's top agencies, John Tylee asks. Johnny Hornby's iPad is playing a recording of the late Clement Freud telling a joke involving a drunken, vomit-covered husband coming home to his wife and two £20 notes. It's absolutely filthy, very funny and, by the end of it, Hornby, Simon Clemmow and Charles Inge are splitting their sides. A shared taste in bawdy humour is one thing that most obviously unites the founders of CHI & Partners. But you might be hard-pressed to identify many other common denominators between Hornby, the agency's charmer-in-chief and self-confessed "loudmouth", Clemmow, the grand strategist, and Inge, the softly spoken and thoughtful creative catalyst. Nevertheless, it's a chemistry that clearly works. CHI & Partners celebrates its tenth birthday occupying 12th spot in Campaign's agency rankings and with a reputation for big, populist advertising on everything from TalkTalk and Toyota to British Gas and Argos. Not to mention the fact that it's also helped transform the trio into multi-millionaires thanks to Sir Martin Sorrell's WPP paying £30 million for a 49 per cent stake in the agency four years ago. All good reasons for the street party scheduled for this Thursday outside CHI's Fitzrovia offices for clients, agency staffers past and present and - given that Hornby is one of the most well-connected men in the business and beyond it - a heavy sprinkling of adland's glitterati. Thanks to Burger King, the party is taking place a month later than planned. This has nothing to do with a glitch in the catering arrangements but a review by the fast-food giant of its $300 million US creative account out of Crispin Porter & Bogusky. CHI has been leading a team of WPP group shops pitching for the business. And with so much riding on the outcome for CHI's fledgling New York office, Hornby has been spending much of his time either there or at Burger King's Miami headquarters. The capture of Burger King would be a defining moment for CHI's New York operation. Not only would it give the agency a much-needed US profile but would mark significant progress in the founders' determination to have CHI evolve into a Bartle Bogle Hegarty-style micro-network. However, the delay in cracking open the Champagne has allowed the agency to coincide the festivities with the launch of The Social Practice, a social media agency aimed at helping clients deal with customer service issues and preventing social networks turning small problems into huge ones. It's the latest in what's been a programme of building a range of marketing services that is almost as old as CHI itself. The seed of what was to become CHI was actually germinated in the summer of 2000. It happened as Hornby and Clemmow, both TBWA\London senior executives, found themselves kept waiting for two hours in a stuffy reception area by the marketing director of The Carphone Warehouse, then a TBWA client and one that was to play a pivotal role in bringing CHI into being. "Why aren't we doing this for ourselves?" Clemmow asked his clammy companion. Hornby was nervous about the idea. Not only was he running Labour's campaign for the 2001 General Election but, as a newly divorced father of three, had considerable financial commitments. His mind was made up by Charles Dunstone, the founder of The Carphone Warehouse and a close friend. "He said I'd never get to own a yacht like his while working for TBWA," Hornby recalls. Dunstone went on to promise that if Hornby and Clemmow did a start-up, they could have his account. And he encouraged them further by offering them space in some down-at-heel premises he owned in London's Marylebone Road. That early leg-up hasn't been forgotten and the mutual loyalty between agency and client remains strong. So strong, in fact, that CHI instantly resigned its BT Openworld business, with a fee income of £800,000 a year, when Carphone Warehouse launched TalkTalk. Inge's arrival from Lowe London, where he was the executive creative director, to complete the agency's frontline surprised everybody. Not least the parties involved. Such was his pedigree, which included outstanding work for Tesco and Stella Artois, that Clemmow admits: "We didn't think we could possibly get him." For his part, Inge had found the marriage of Lowe and Lintas unsettling. However, discussions about being involved in Fallon's London start-up came to nothing and he admits: "I thought I'd missed my chance of doing a start-up." What sold Hornby and Clemmow on Inge, though, was that he came to meet them at the Mandarin Oriental hotel with a U-matic of his work under his arm. It was, Hornby remembers, in stark contrast to other creative big names they'd seen who would have considered having to demonstrate their talents beneath them. With Inge's strong credentials, it may seem odd that CHI's creative reputation lags behind its renowned account handling skills. Hornby insists that a number of creative awards in recent years belie the suggestion. But he admits it may be connected to Inge's unassuming demeanour, the complete antithesis of a voracious self-publicist. "I'm the loudmouth while Charles is the quiet genius," Hornby declares. "Because we won a lot of business so fast, the concrete sets quite quickly. In fact, our creative performance over the past ten years has been a lot stronger than people think." It's probably no surprise, then, that CHI has come to personify Hornby's character - quick-wittedness coupled with easy charm - in much the same way that Beattie McGuinness Bungay reflects its larger-than-life creative co-founder. Indeed, it was Hornby who became the pivotal figure in CHI's decision to align itself with WPP, allowing Sorrell to put one over on Vincent Bollore, who was just 11 hours away from bringing CHI into the Havas family. What happened is typical of Sorrell's ability to move fast when there's a good deal to be struck. The WPP boss flew from San Francisco to Heathrow to conclude an agreement airside in just 45 minutes before Hornby left for a skiing holiday in the French Alps. Hornby used the 1997 arrangement in which Leo Burnett bought 49 per cent of BBH - that stake is now held by Publicis Groupe - as his template and there's no doubt CHI came away with most of what it wanted. None of the CHI founders are committed to stay if they don't wish to and the agreement includes no option for WPP to move eventually to majority control. Sorrell seems equally satisfied. "We were delighted when Johnny and his colleagues chose to partner with us," he says. "They bring tremendous strategic, creative and implementation skills to the group, as well as extra vigour and vitality and, most importantly, fun. We hope we can help them build their brand into a global phenomenon." That's certainly Hornby's wish with CHI now regularly drawing on WPP's resource to build a media offering and extend its international capability. Meanwhile, the agency is looking to position itself as an alternative for business in danger of becoming lost in a WPP leviathan like JWT or Ogilvy. "At first we took the view that WPP wasn't going to tell us what to do and we kept ourselves apart," Hornby admits. "But we found we could do ourselves more good by being part of the family." But being part of CHI's own family hasn't always been pleasant. The agency has a reputation for a working environment that can be brutal at times. Hornby presents it more as tough love and a reflection of the "work hard, play hard" culture that he and his partners have always personified. He claims the perception was born during the global economic crisis when the agency faced challenging times because of a client list that included a lot of retail business, as well as the Royal Bank of Scotland. "We didn't want to fire people but took a decision to drive them very hard because it was in everybody's best interests," he says. "But we've never found it hard to recruit people and nobody has ever turned us down because they thought we were a sweatshop." Increasingly, those kind of decisions are taken by the agency's new generation of management - the chief executives, Nick Howarth and Sarah Golding, and the executive creative director, Jonathan Burley, who replaced the US-bound Ewan Paterson last year. The arrangement allows Hornby, 44, Clemmow, 54, and Inge, 49, to concentrate on broader matters such as overseeing big clients and major pitches. It also means more time to enjoy their considerable wealth, although Inge insists that the trio have never discussed their exit strategy. The evolution at CHI has led to some speculation that Hornby's restless ambition might lead to him taking a broader role within WPP, thus marking himself out as a potential successor to Sorrell. Hornby says he'd much prefer helping CHI realise its international ambitions. "Besides, I wouldn't be very good at running WPP. I don't even have a maths O Level!" So if he's to be taken at his word, where will he and his partners be when CHI hits 20? By that time, their hope is that, with WPP's help, the agency will have evolved into a multi-disciplined international player. What's more, Hornby adds: "I hope it will be a place in which we still have a hand." May 2001: Start-up agency founded by ex-TBWA\London executives Johnny Hornby and Simon Clemmow. Charles Inge quits as creative chief of Lowe London to join them. Charles Dunstone switches his £10 million Carphone Warehouse account from TBWA to the fledgling Clemmow Hornby Inge. London Victoria follows suit. December 2001: Wins £7 million Telegraph Group business in three-way pitch. Joins Premier Foods roster when landing the £3 million Loyd Grossman cooking sauces assignment. Peter Werth, the men's fashion brand, appoints agency. Leaves a month later. February 2002: Beats TBWA\London and HHCL & Partners for Britvic's £5 million Tango account. June 2002: Confirmed as Heineken's UK agency after Lowe resigns £10 million account. July 2002: Wins Safeway supermarket creative account. November 2002: Joins forces with Naked Communications to launch a comms planning company. January 2003: Lands £4 million Expedia account. June 2003: Wins £7 million relaunch assignment for Anchor Butter. September 2003: Appointed to handle the Royal Bank of Scotland's The One Account, worth £10.2 million. 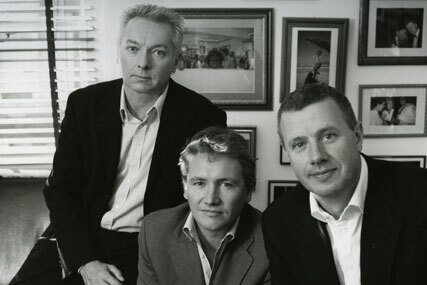 July 2004: Launches direct marketing agency with Simon Hall and Warren Moore, former Proximity London chief executive and creative director respectively. Peter Mandelson stands down as CHI director. Launches Freud Inside, a PR venture with Freud Communications. It closes 11 months later after Freud's sale to Publicis Groupe. August 2004: Wins £3 million Heart FM account after five-way pitch. September 2004: Shares £9 million Waitrose account with HOW start-up, established by Ken Hoggins and Chris O'Shea. February 2005: Resigns Expedia account. August 2005: Wins £35 million panEuropean Toyota Corolla brief. Takes £35 million Argos account from Euro RSCG London. September 2005: Nick Howarth, HHCL United's chief executive, joins as group chief executive. November 2005: Wins brief to launch Toyota Yaris across Europe. Ewan Paterson joins from Bartle Bogle Hegarty as executive creative director. January 2006: Wins Toyota's UK tactical ad business, worth around £10 million. March 2006: Direct Line switches £15 million financial services account out of CHI after less than a year to M&C Saatchi. June 2006: Wins Britvic's J20 account from BBH without a pitch. April 2007: Founding partners become multi-millionaires when WPP takes 49.9 per cent stake in agency for a rumoured £30 million. CHI earlier pulls out of talks with Havas. Agency becomes CHI & Partners. With Hall Moore CHI, wins £25 million AOL broadband above-the-line and direct marketing accounts without a pitch. October 2007: Appoints Victoria Davies, an ex-TBWA\London managing director, to run its New York office set up to handle Best Buy Mobile, a joint venture by the US retailer Best Buy and The Carphone Warehouse. 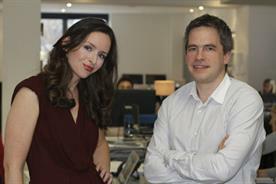 December 2007: Launches media venture, CHI & Partners Media. January 2008: The Carphone Warehouse appoints CHI & Partners Media agency to handle its UK media account. Virgin Money's £26 million media planning and buying account follows suit the next month. CHI takes over £15 million Royal Bank of Scotland retail account from M&C Saatchi without a pitch. June 2008: Britvic switches Tango and J20 accounts to BBH. January 2009: Sets up the conflict shop MCHI, also backed by WPP's media arm Group M, to handle advertising and media for clients including The Carphone Warehouse. The agency is run by the managing partners Tim Allnutt and Enyi Nwosu, who later depart MCHI. January 2010: Secures place on Nestle roster by winning account for Polo mints range. Wins £8 million account for breakdown cover provider Green Flag. March 2010: Samsung consolidates £18 million UK account for its television products into CHI. April 2010: Paterson quits to become the creative chief of DDB Chicago. Jonathan Burley, Leo Burnett's executive creative director, replaces him. Burley later raids his previous agency and hires Leo Burnett's deputy executive creative director, Jim Bolton, as CHI's new creative director.